For just four weeks starting on March 22, Pokémon Trainers across the country can add the long-awaited Mythical Pokémon Meloetta to their Pokédex via a special character distribution event at participating GAME stores nationwide. In anticipation of the event, The Pokémon Company International has revealed comprehensive details on the stats, capabilities, and rare talent of this new Pokémon that can be obtained by players of Pokémon Black 2, Pokémon White 2, and the original Pokémon Black and Pokémon White video games. For both eager veterans and first-time Trainers, this is a great opportunity to enter the Unova region of Pokémon Black 2 and Pokémon White 2 with a strong, gifted Pokémon. 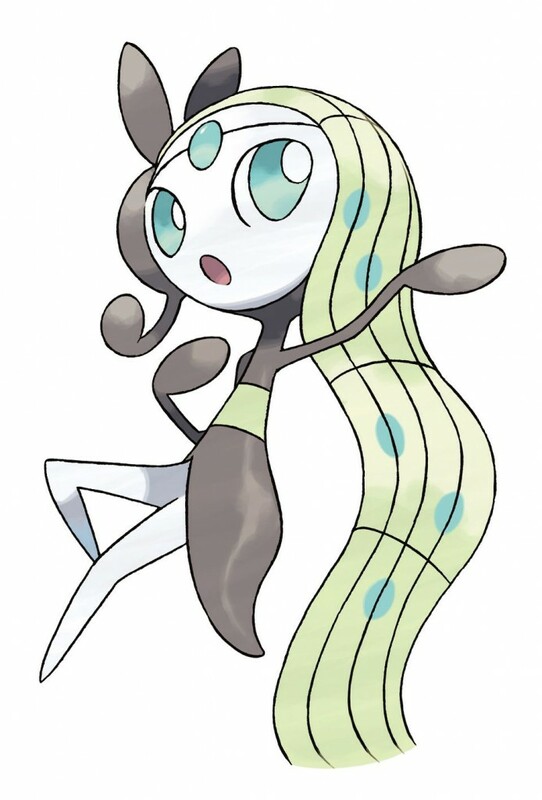 Meloetta is the rare and powerful Melody Pokémon that keeps opponents on their toes with its unprecedented ability to change Forme in the middle of battle. Players who attend the GAME distribution event will receive Meloetta at Level 50 in its Aria Forme, in which it fights as a Normal- and Psychic-type Pokémon. 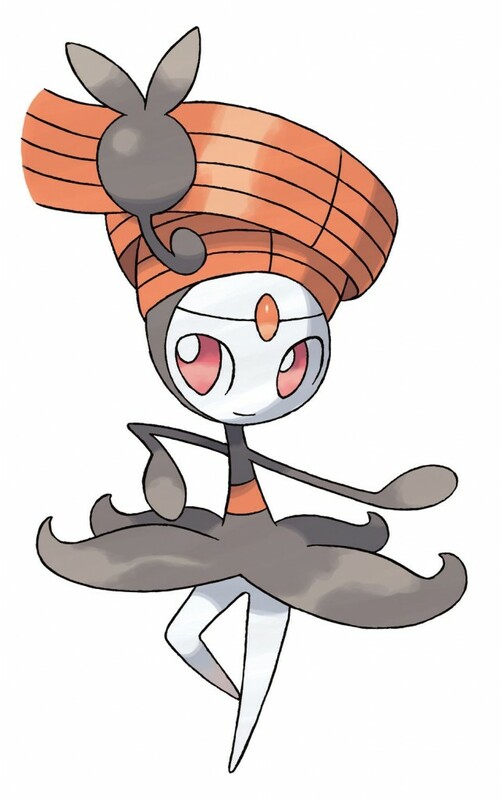 If a battle calls for a change of tone, Meloetta can switch to its Pirouette Forme on the fly and become a Normal- and Fighting-type character – the first-ever Pokémon with such a type combination. Meloetta changes Formes using Relic Song, a special damage-dealing move that can only be learned from a tutor in Castelia City. When players receive Meloetta at the distribution, however, it will already be outfitted with a suite of powerful moves – Close Combat, Teeter Dance, Psychic, and Round. Players can find more information on Meloetta, including expanded stats and screenshots of both Formes in action, by going to Pokemon.co.uk/BlackWhite2. While visiting the official site, fans can enjoy the Meloetta’s Moonlight Serenade animation via Pokémon TV, also available on iPhone, iPad, iPod touch, and Android with the convenience of the recently released app. Also, fans with Pokédex 3D Pro on their Nintendo 3DS or Nintendo 3DS XL systems will be able to add Meloetta to their application via a special password that will be revealed at Pokemon.co.uk when the distribution starts on March 22. For Trainers using the Pokédex for iOS app, a password can be found on Pokemon.co.uk unlocking Meloetta in their Pokédex. Pokémon Trading Card Game fans can also add the Mythical Pokémon to their decks courtesy of 1 of 2 special Meloetta cards included in each of the new Black Kyurem-EX, White Kyurem-EX, and Keldeo-EX Power Tins, available in stores from March 6th. The Meloetta distribution event is only running for a limited time, so players will need to visit participating GAME stores between March 22 and April 19 to add this unique Mythical Pokémon to their adventures in Unova. This exciting Meloetta distribution event is for a limited time only, so be sure to head to retailers between March 22 and April 19. Visit Pokemon.co.uk/BlackWhite2 for more Meloetta information. Pokemon Detective Pikachu: the first trailer and poster is here!